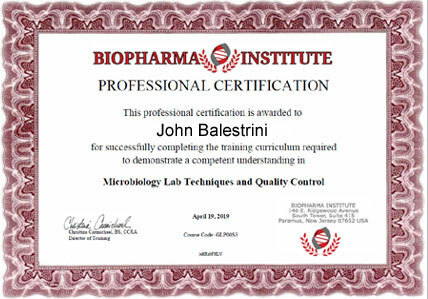 Below you will see what the BioPharma Institutes ‘Certification Certificate’looks like. 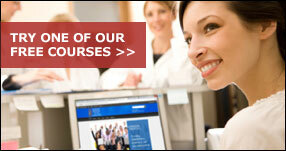 You are awarded with this certificate immediately after completing the course requirements. 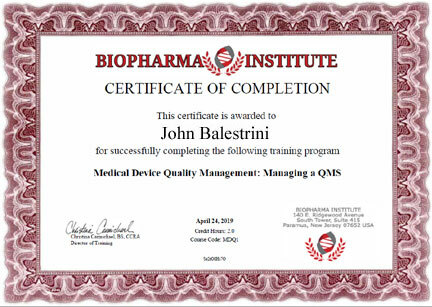 Immediately after completing the curriculum requirements established for completion of one of the BioPharma Institute’s Professional Designation Certificate Programs, you are awarded with a certificate similar to the one seen below.